The Aeroflo 2 hydroponic system is a high yielding hydroponic system that is excellent for growing weed. 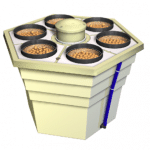 It has a compact layout ideal for the grow room and has 36 grow sites. 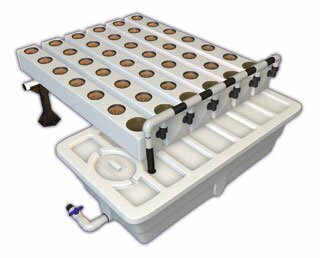 It is being sold as an aeroponic system but it is actually a hybrid combining the best of aeroponics and NFT(nutrient film technique). Roots hang down are misted aeroponically and also get the benefits of NFT in the bottom of the channels. This system has a large 40 gallon reservoir too. These yield very well and you may be thinking that you can build your own. You can, but you really wont save much money as the channels are pricey. It also probably won’t work as well and these units are now on sale. So unless you just want a diy project I would suggest just buying one. 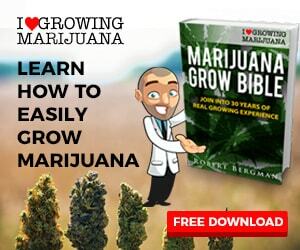 Your weed will be growing faster and better and you will more than pay for the Aeroflo with your first crop. Designed specifically for indoor cultivation under a grow light, the AF236 site system offers 36 plant sites in a compact footprint. It also features the generous 40-gallon Panda reservoir.